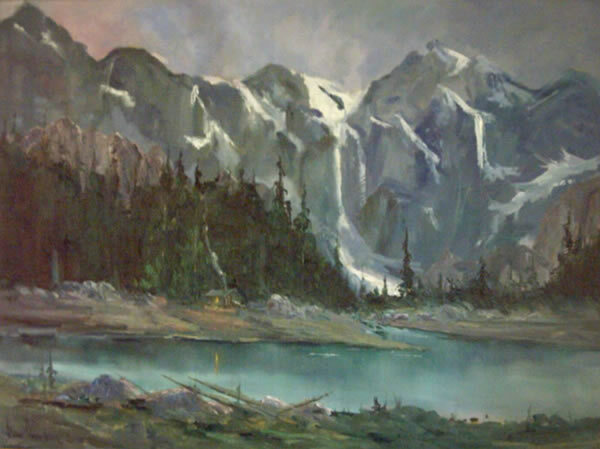 For 38 years I have painted with my Mount Rainier painting friend Fred Oldfield. He turns 90 this month. Many times he will point out what needs to be altered with one of my paintings. Upon seeing this oil, that has the feel of Mount Rainier, he said, " Don't touch that one". Oldfield has loved fishing and I love hunting. I hate booze and he hates tobacco because he lost a brother to tobacco. We argue as to which is worse. He is beginning to admit they were both invented for pigs, not people.